A cabal of prominent lawyers and intellectuals from our province has stepped forward to form a corporation/think tank to examine and propose alternatives to the Muskrat Falls hydroelectric development. The first thing that struck me when I learned of 2041 Energy Inc was the stellar social, economic, political and legal stature of those involved. Richard Cashin, Bernard Coffey, Edward Hearn, Cabot Martin and Dennis Browne have all contributed greatly to the socio-economic development of this province. They have all held senior positions of authority in government and the private sector. They are entrepreneurial individuals who are putting the province first. They certainly do not have a personal financial stake. In fact ,one might be able to argue that by being so public in their opposition to the government's intended direction, they are putting their personal interests at stake. These courageous individuals are putting their time, energy and reputations on the line to ensure that proper debate, discussion and focus is brought to the Muskrat Falls puzzle. With 2016 nearly upon us, the significance of which I do not feel residents of the province, or the majority of our elected politicians, appear to grasp, the establishment of 2041 Energy Inc is very timely. There appears to be a disconnect between the public and those that govern us. A non-partisan, passionate, intellectual approach to the strategic development of our energy resources is over due. Do you feel that our government has offered the pros and cons of this development via the ring fencing of all studies associated with the Muskrat Falls development? 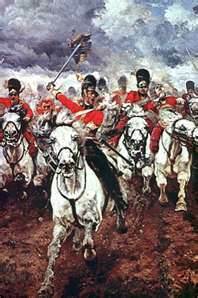 I can't help but think of Lord Tennyson's Charge Of The Light Brigade as 2041 Energy Inc charges in to the public battle surrounded by the publicly funded resources of NALCOR and the provincial government! From what I understand those five got involved because the opposition was not doing their jobs. If this is the case are they now taking over the role of opposition? is unbelievable to think that the then Premier Williams would support anything that would have negative consequences for this province. I do not know anything about the five involved, but, I would put my money on the Engineers and Lawyers putting this project together any time. This is nothing but politics. A bunch of has beens! If they are so good, and have such great ideas why are they not elected? Bern Coffee & Dennis Brownnoser....Richard Cashin..and who is Ed Hearn? Blowhards that want to keep this province down. I take issue with your use of the term entrepreneurial when describing these individuals. All of them have been benefactors of political handouts and patronage in addition to their law practices and consulting. Cashin a politician and union leader has never generated a job. Ditto the rest of them without exception. Yes, they are prominent personalities but entrepreneurial is not an appropriate attribute for any of them. I am opposed to Muskrat to date because I do not think my light bill should double or triple to pay for it while entrepreneurs and lawyers get richer from it. Let us discuss the merit of each individual if you must. Lets start with the term that you take issue with. entrepreneurial to me is not just about business savvy. It is the element of self-awareness that guides people in understanding what's needed to bridge the gap between who we are and what the opportunity requires - problem solvers and thinkers. Certainly they are all social entrepreneurs who have contributed to the socio-economics of this province. From a business point of view, Cabot Martin has invested greatly in energy and cod farming. Anyways, feel free to make your points about each, within the context of what I consider entrepreneurial. I take issue with your narrow definition of entrepreneurial personalities. Hey Peter, I agree that these are 5 smart individuals but it is hard for me to get past the fact that they are all partisan politicos as well. The lone ex conservative staffer in the group is involved in the oil and gas sector...seems he may have a conflict of interest. Either way I find it terrible that people keep putting forward arguments when we still don't know what the final numbers are. Once everything is put on the table then we can really see the true value of the projects.